2. 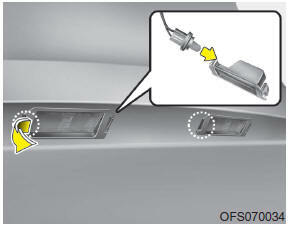 Remove the tailgate trim by removing the plastic mounting clips. Be careful when removing the plastic mounting clips in cold weather, it may crack. 3. Remove the lens by pushing the cover. 6. Reinstall the lens securely.